Forgetful Feroz National Federation Party’s Feroz Ghulam Mohammed must have a memory problem when he accuses the Republic of Fiji Military Forces of not helping in times of natural disaster. 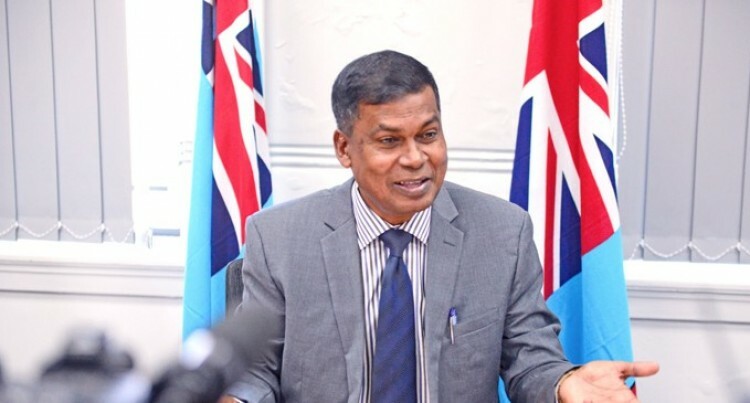 National Federation Party’s Feroz Ghulam Mohammed must have a memory problem when he accuses the Republic of Fiji Military Forces of not helping in times of natural disaster. He seems to have forgotten how RFMF engineers and others within the Forces stayed away from their families for months to clean up and rebuild schools and homes after disasters. Unsubstantiated comments against an esteemed institution by a wannabe politician does not help this nation. It trivialises all the good work the RFMF does at home as well as internationally. Now what will NFP leader Biman Prasad say about our opposition newspaper now? Mr Prasad, you might recall, has been loudly vocal in support of The Fiji Times and says it should get Government advertising. Yet for the second year in a row The Fiji Times has not put in a tender for this when public tenders were called for. More on NFP. There is an election looming, after all. While their leadership is clear there is no coalition with SODELPA before the 2018 election they are rather quiet on whether they will be comfortable forming a coalition with SODELPA after the elections. Will they? People in the Lau Group are already praying for rain because most islands are running short of water.At this long dry spell they know that every drop of water is precious. Not only are the people of Lau affected, but Fiji wide too. The spectacular Albert Park in Suva will be a place to be this weekend. Especially if the sunshine continues. The best cricketers in the region will be on show in an International Cricket Council tournament (see our Sport pages for full details). McDonald’s on Vitogo Parade in Lautoka. McCafe is a point of difference. Efforts by some who should know better to keep our journalists out of events sponsored by other news media. Thank you Swimming Fiji’s hardworking Ben Rova for putting a swift end to that sort of nonsense.